1: Have you added Handcent Next SMS to ‘ Unmonitored apps’ list in Battery manager ,if not, please do so . 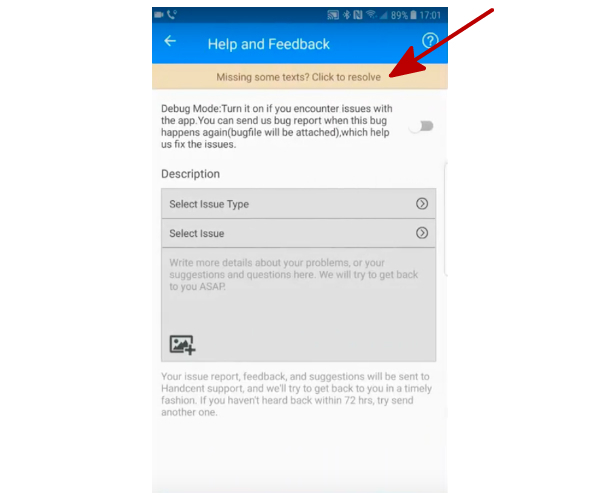 You can click ‘︙’ on Handcent main window and click on ‘ Help & Feedback ’ ,click the text ‘Missing some text? Click to resolve ’ . Follow the guidance to set it up. 2: In the app, click on ‘Inbox’ on the top left, then click ‘More’ to go the feature page （You can also hold and then swipe right on the conversation page ）. 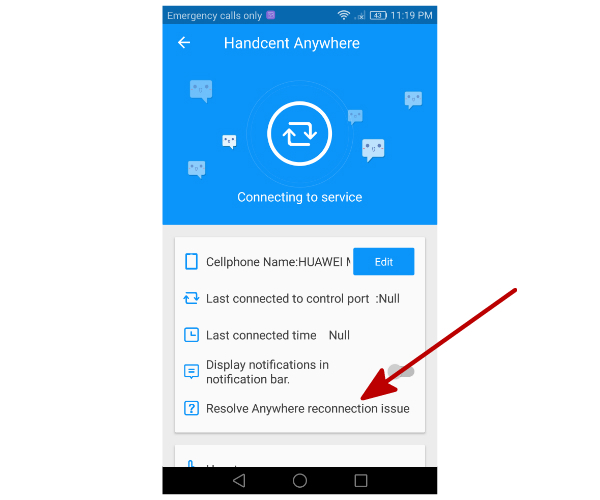 Click ‘Anywhere‘, then you can click the text ‘ Resolve Anywhere reconnection issue’ . Follow the steps and add ‘Next SMS’ to ‘ Apps not optimized’ list ’ .